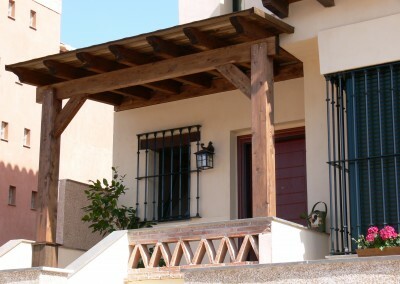 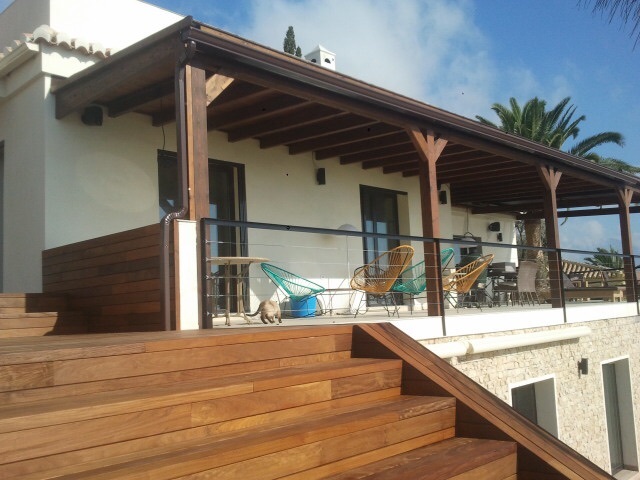 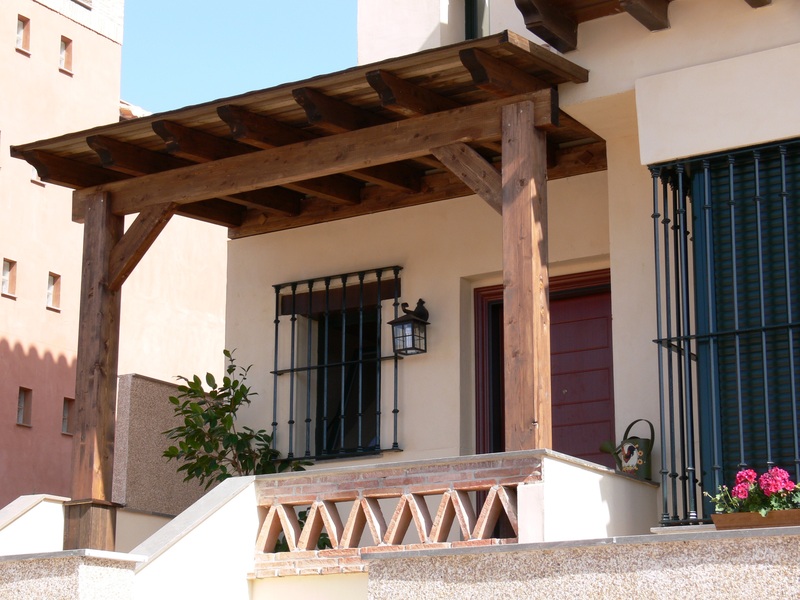 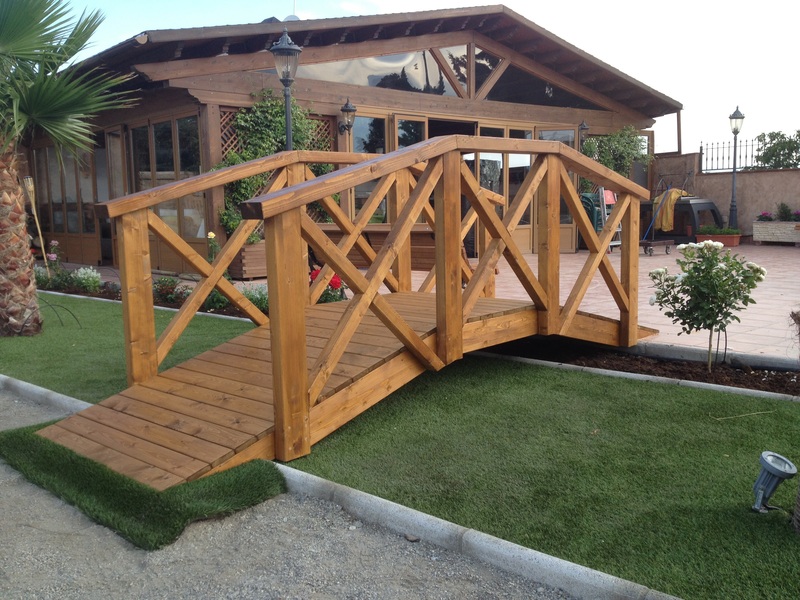 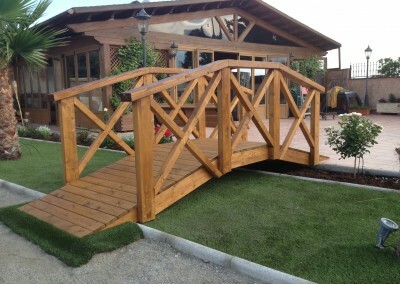 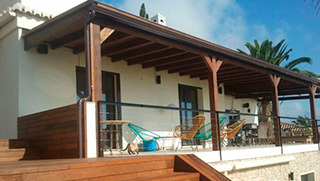 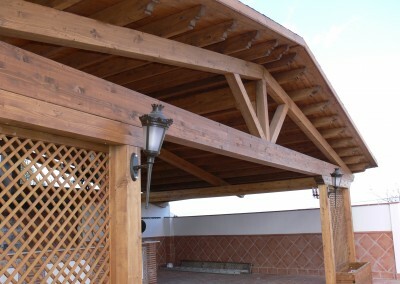 The installation of wooden pergolas in your home will provide the outdoor spaces of a unique elegance and character. 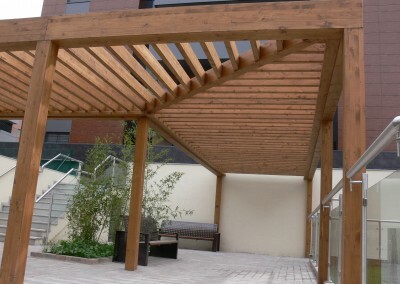 The decorative beauty of this piece of furniture merges with the functionality that it is given to open air areas, bringing a feeling of comfort and intimacy. 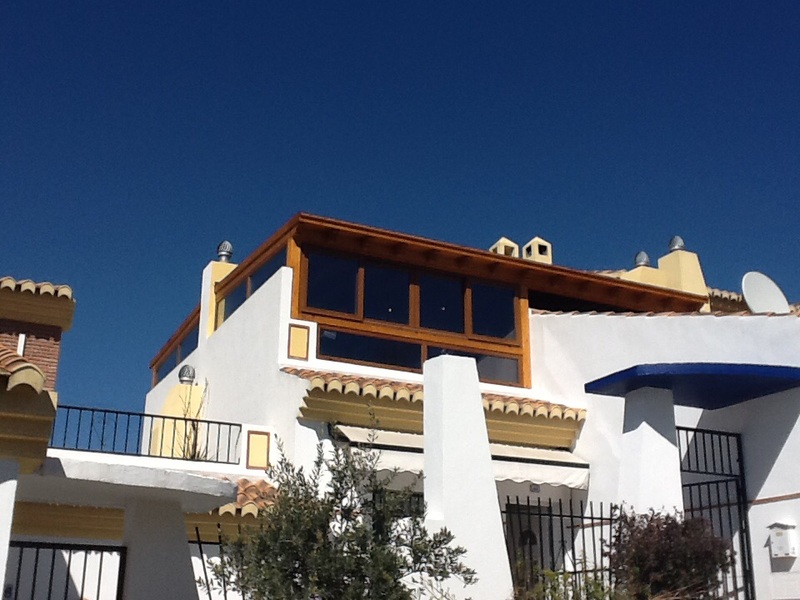 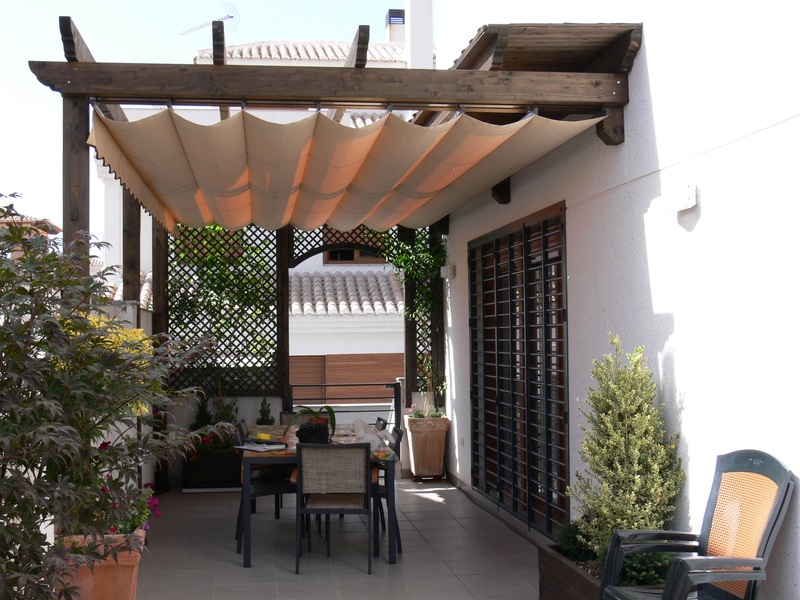 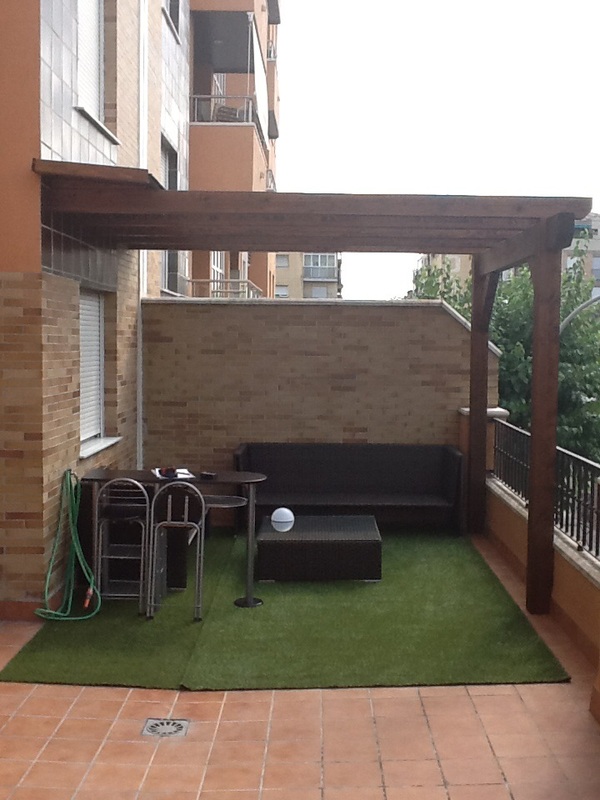 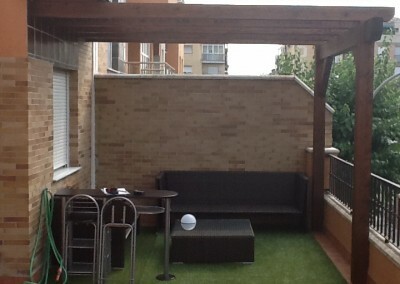 Pergolas turn simple outdoor terraces into a new room of the house, joining your house to the garden. 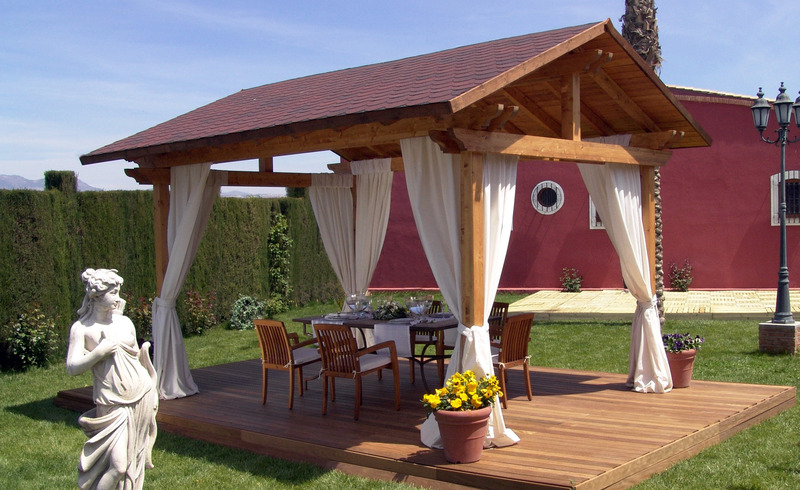 They are the perfect frame for that chillout area that you wish to build in your garden or to create the covered space that will be used as a frame in all your dinners or social events in your terrace. 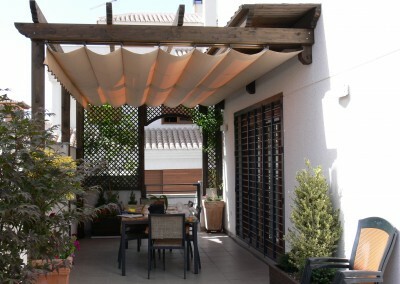 It will let you enjoy a shadow area in those hot days next to your swimming pool. 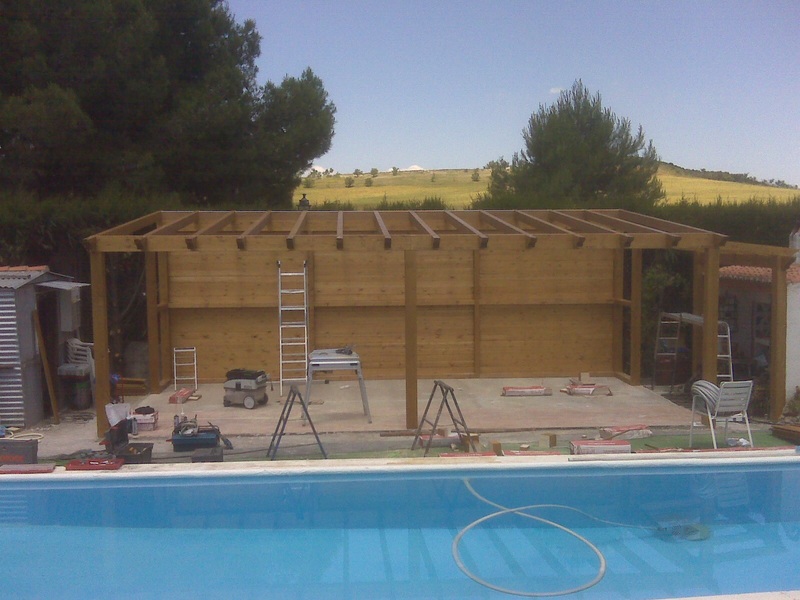 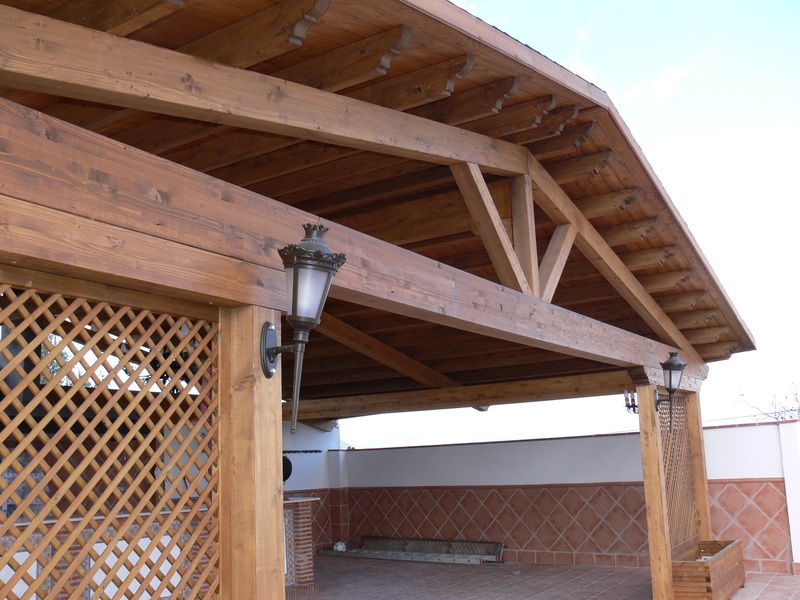 What work is required for the installation of a pergola? 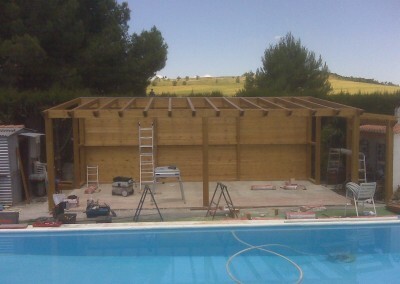 There are no works required but at least a concrete platform that ensures an optimum solidity against ground movements. 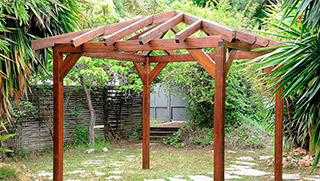 Can any wood be used in the construction of a pergola? 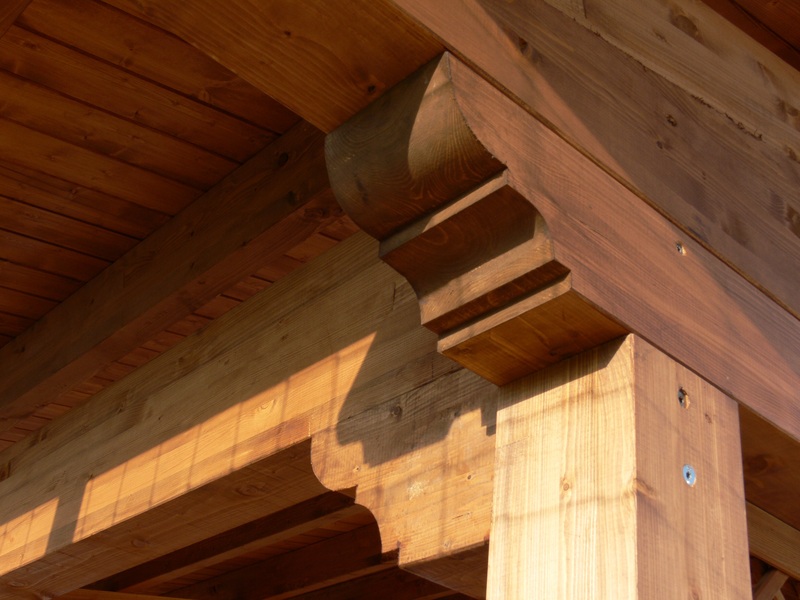 Several woods can be used, being the nordic pine one of the most commonly used for its properties, with the adequate protecting treatment and layered structure to ensure optimum performance and resistance in time. 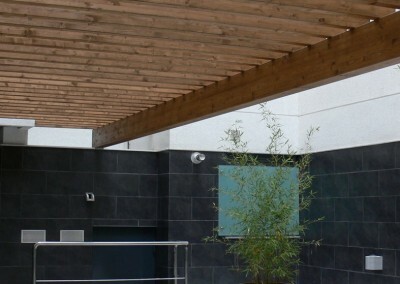 What treatment does a pergola require? 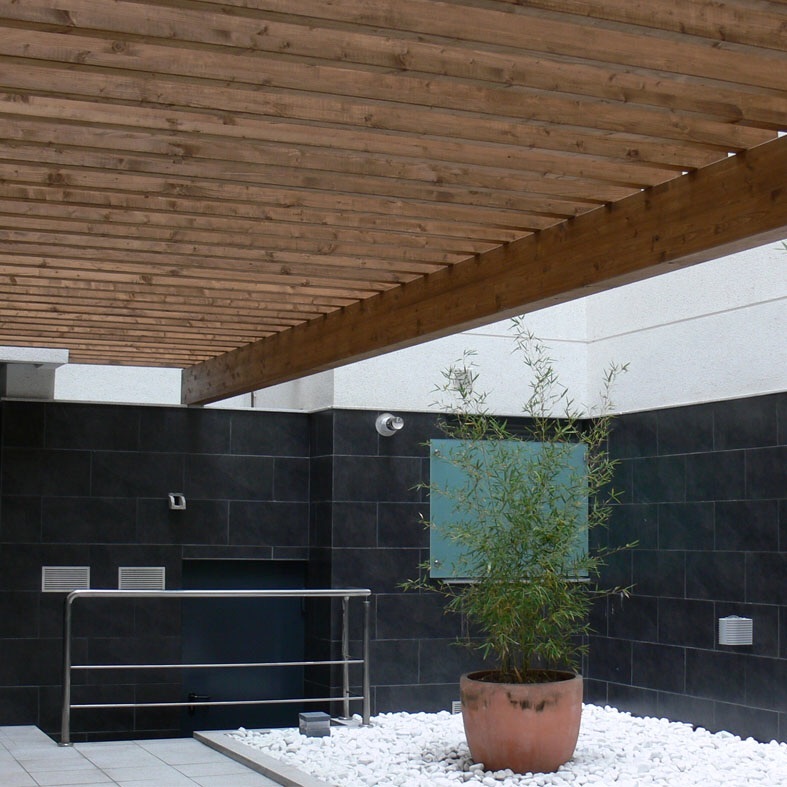 The treatments are preventive and water-based formulated without solvents and open-pored with products called laures. 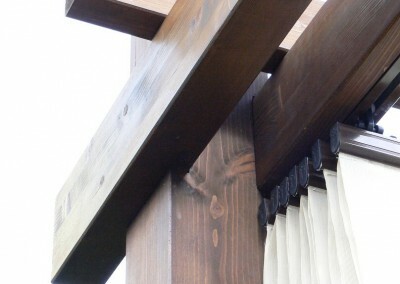 Most of them prevent from the weather inclemencies, and from agents and insects that may harm wood. 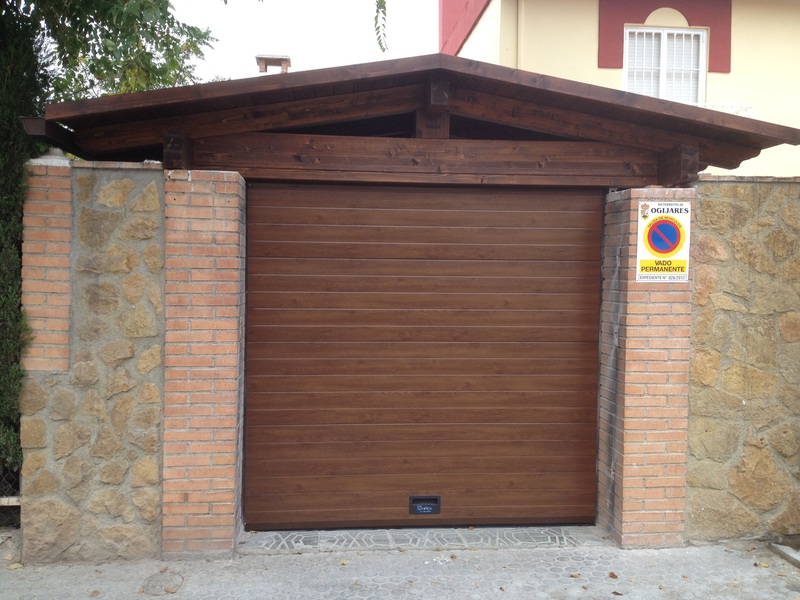 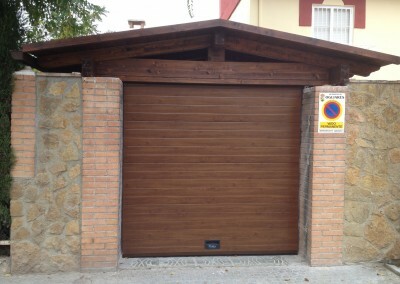 The maintenance of this treatments must be done every two years or more depending on several factors and according how the weakening of the wood can be seen. 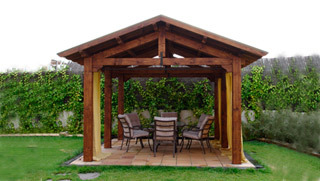 What options and advantages does a pergola offer? 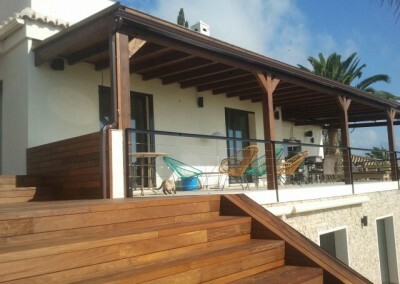 The advantages are many, they protect an area from the sun, the water, the weather inclemencies and create an environment to be dedicated to leisure, relax and fun. 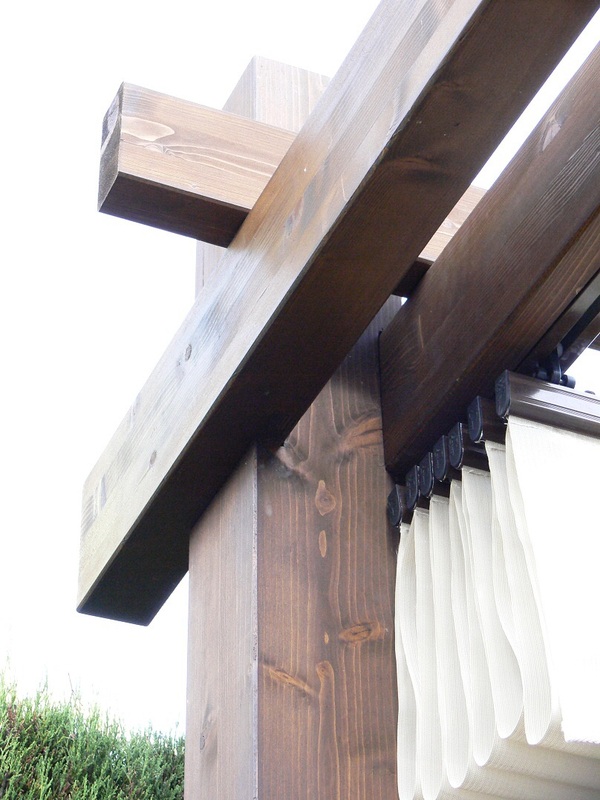 In addition, there are some closings such as glass curtains that allow us to close or to leave the perimeter open easily, simply and quickly.